brand. spotlight. // YSTR. - bitte.und.danke. Just how dreamy is YSTR's Seraphine Ruffle Top? Obsessed would be an understatement. YSTR's minimalist design is so on-point with the brand's aesthetic. 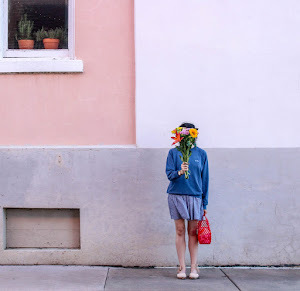 As much as I love frequenting perennial favorites like Madewell, J.Crew and Free People (among others), every now and then it’s good to mix it up with an up-and-coming label. Enter YSTR (derived from “yesterday”), a new e-commerce brand out of LA that gives Reformation a serious run for their money. 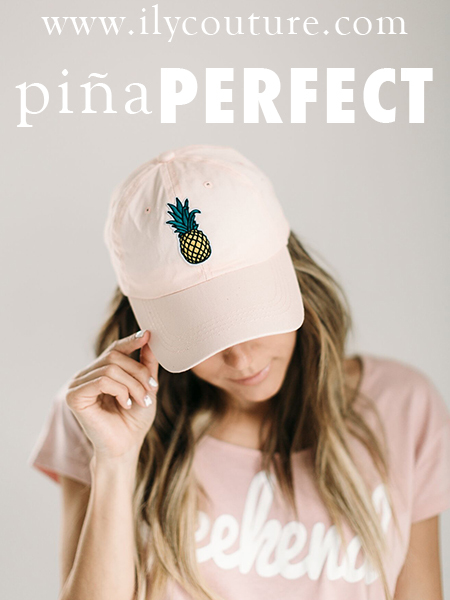 They launched this past July with a capsule collection of California-chic essentials with a retro twist (think: an easy-breezy ruffled blouse, a carefree black jumpsuit and a relaxed fit t-shirt dress) that are made to fit and flatter. 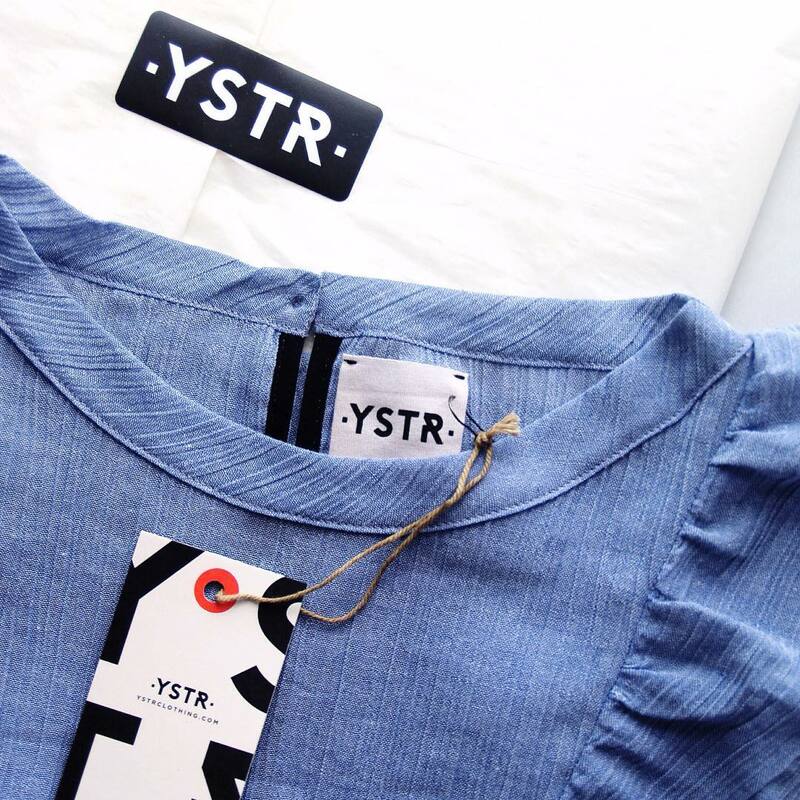 Not only are the clothes themselves beautiful, but YSTR's cut-to-order technology allows them to cut down on fashion waste. They only carry limited runs of each fabric so as to keep their collections fresh and to avoid having leftovers. In addition to their eco-friendly mission, YSTR is also an advocate for timeless style. Just as it says on their website: “Clothes you’ll love, inspired by yesterday & tailored for the modern era.” Though I enjoy test-driving the latest trends, there’s something to be said about a statement piece you can wear for years and years to come. We take inspiration from vintage silhouettes and classic styles from the 20th century, then tailor them to fit the modern era. This design approach allows us to make sure every YSTR piece becomes a favorite staple in your wardrobe that will never go out of style. I was lucky enough to snag a piece (or two) from YSTR’s debut collections and I have to say I’m already a fan. Upon opening my package, I was super impressed with the attention to detail and high-quality craftsmanship. Unlike mass-produced clothing, the Seraphine Ruffle Top felt incredibly special and one-of-a-kind. I’ve already worn it on a few occasions, and I couldn’t be more pleased with how versatile it is. While the ruffles are a bit on the dramatic side, there’s still something incredibly effortless and classic about the style. I can’t wait to wear it with high-waisted black jeans next! I’ve rounded up a few of my favorite YSTR pieces below — definitely take a look at their website + keep an eye out for their upcoming September collection! 1. Seraphine Ruffle Top in Blue // Sophisticated with an air of cool. 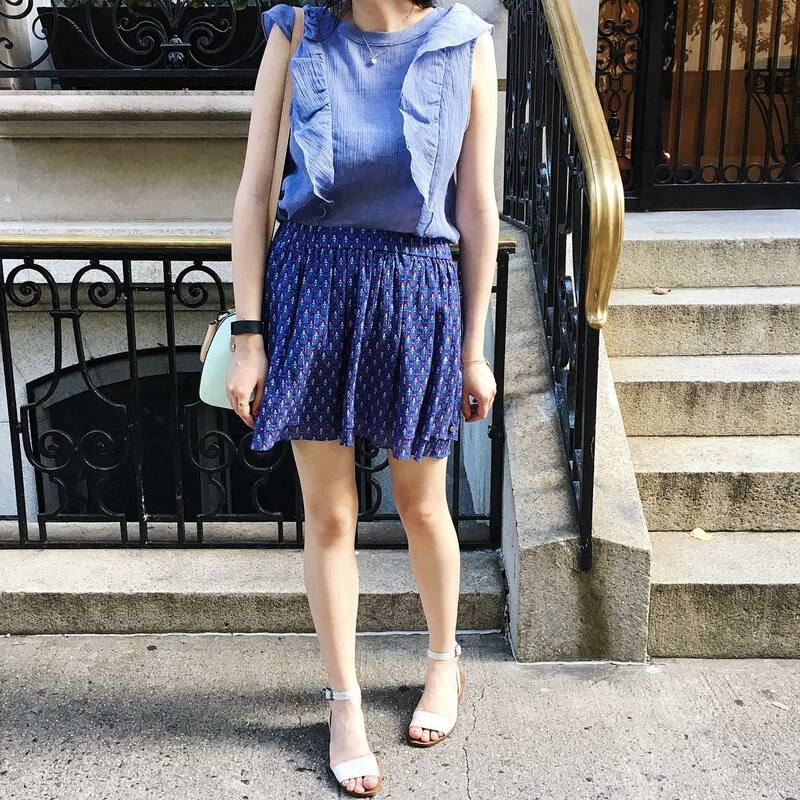 The great thing about the Seraphine Ruffle Top is that you can dress it up with a skirt (like I did) or pare it down with denim cutoffs for an off-duty look. Believe it or not, it’s 10 times more stunning in person. 2. Anais Dress in Floral // Last-minute summer getaway? Add this tropical bib dress to your packing list for a slip-on-and-go piece that takes you from beach to boardwalk. It’s that easy. 3. Isley Tee // You can’t go wrong with a simple t-shirt, especially when it’s a super soft v-neck. The Isley Tee comes in both black and white for your sartorial delight — so don't hesitate to invest in them both! 4. Chloe Blouse // Just as the description reads, this drapey blouse is for “the ladies who tend to order a size up, on purpose.” I actually have the Chloe Blouse and I like to describe it as laid-back chic with an ultra-femme twist. I can’t wait to wear it with everything from denim boyfriend shorts to a school-girl wool mini. Afternoons spent on the Upper East Side call for your Sunday best. I couldn't be more pleased with how the Seraphine Ruffle Top ended up looking teamed with my summery Scotch & Soda skirt and Madewell sandals. Be sure to give YSTR some love by following them on Instagram, “liking” them on Facebook and joining their e-mail list (scroll down to the bottom of their website). What’s your favorite piece(s) from YSTR? Let me know in the comments below!